I have followed Benedict Evans for many years and he has an amazing ability to put context around large datasets. After 10 years in Newbridge we are in the process of moving to a new larger warehouse in Rennie Square, Livingston. 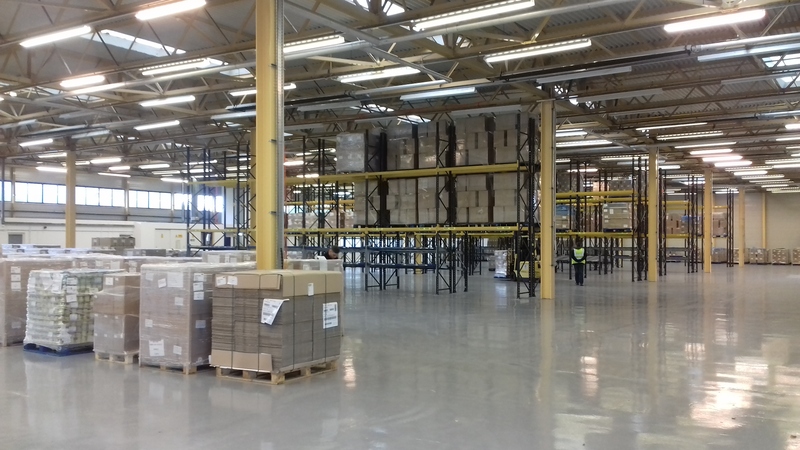 We have invested heavily based on our learnings of FMCG logistics over the last 10 years and this space gives us significant expansion room for the next 10 years. Our investment horizon is very long-term and based on a strong belief that grocery retailing in the UK is changing significantly. Come around for a coffee and tour our facility by getting in touch. I am 50 this month, I have been in high technology and emerging technology for 30 years. I am an early adopter – I buy all the new services I can, explore new ways to shop and pave the way for the mass market to follow. I have seen this in technology first hand – usually by being around a decade too early! In Grocery as with all retail – things are changing. Asked years ago consumers would say they were perfectly happy with shopping in supermarkets rather than fiddling around with their computers to buy online. But online is taking a grip of grocery quicker than many can appreciate. CB Insight have produced some great information on the changes in the grocery market. Take a look here. What we love most about it is the clear strategy that delivers long-term shareholder value, it uses the cash flow from its businesses to invest in the future rather than returning this cash to shareholders. Luckily we bought Amazon in July 2014 at $316.65 per share. The share price this week passed $1,900, but I think its just the beginning so we are not sellers! Like Mr Bezos we believe in the long term. We are excited to have closed our a significant seed investment in Bella and Duke (www.bellaandduke.com) one of the UK’s leading raw pet nutrition businesses. We have tracked pet nutrition as an interesting area for a number of years, but believe that Bella and Duke have some very interesting defensible qualities and fit with our focus areas of nutrition and food tech. Bella and Duke (www.bellaandduke.com) founded by friend Mark Scott and Tony Ottley, who were frustrated at the lack of quality meals for their own pets. We hope to help the team manage the growth by investing in logistics, web and customer recruitment. We are also very excited to be supporting a business that has come through the Scottish EDGE program. When we bought back Diet Chef from Piper Private Equity (who are a great investor!) in 2015 we did this to leverage the massive investment we had made in systems and infrastructure (see Andrew’s post on this). It took us a little longer to move Diet Chef into a couple of adjacent categories and optimise our marketing but we are very pleased with the 2017 financial results which have exceeded our expectations and generated around £1m of EBITDA. Our growth strategy wasn’t simply focused on generating cash from Diet Chef but more to invest this cash flow in adjacent categories that our infrastructure can serve. 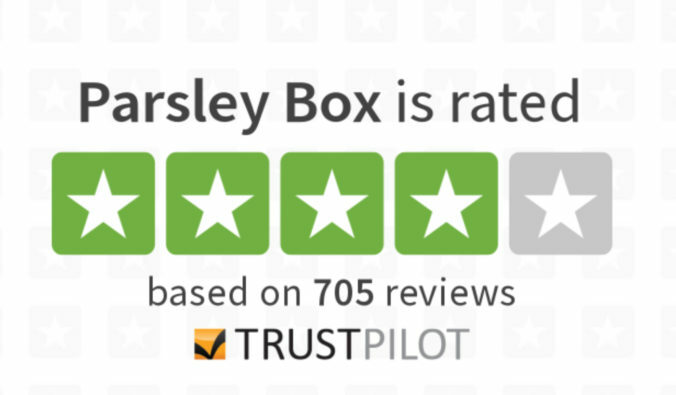 In 2017 we invested and launched Parsley Box (www.parsleybox.com) a reimagined elderly nutrition brand that is growing very strongly against a stagnant revenue comparison of our two larger competitors. We have achieved this by letting the management team focus almost 100% of their time on customer recruitment and building the team. Move Fresh has provided the logistics and supply chain to allow the scaling of the marketing at a rate most startups would fail to keep operational efficiency at. So as we get into 2018 we plan to invest in other adjacent areas and to reach the consumer in different channels, one of the reasons we appointed Henrik Pade to our board of directors. We will both look at doing this organically and through acquisitions if we can find the right ones. Let us know if you think you can help us on this journey, either as an experienced startup founder or if your company would be interested in joining our journey – its going to be fun! We spend a lot of money every day on customer recruitment and marketing. Sometimes I pinch myself and look at the marketing investment we are making and look at the amount we spend – then I think about mistakes we made over the year (quite a lot!). Cost per thousand (CPT) is the single best way to evaluate the media investment. How much will it cost me to reach 1,000 consumers – something that we forget about. So get an accurate number of the audience (readership, viewers, impressions) and then look at how much this costs. Don’t be fooled by online and offline – who cares – I want or reach an audience – how much? A TV advert reaching 10,000 people for £2.50 Cost per Thousand. £10 CPM + VAT for a magazine with 20,000 readers. 30,000 PD inserts at £40 per thousand. £1200 for online advertising at £6 CPM. Calculate which would be the best and show workings. Which would be the worst? Answers on a postcard (it costs around 30p for a postcard delivered at volume) so what’s the CPT? It is 10 years this month since we started Diet Chef with £100 of equity investment and some contacts in the food industry. We have done quite a lot over the last 10 years and also spoken to a large number of other food tech businesses. The history of why two guys from the technology industry got into food is a very interesting one (worth chatting over a beer about) but the seismic shift of the UK grocery retail landscape was pretty obvious to us 10 years ago. UK shopping habits in grocery have changed dramatically in that period. We have moved away from “multiple” large box retailers (Tesco and Sainsbury’s) into buying from discounters (Aldi & Lidl) and convenience stores (Sainsbury’s local & Tesco Metro). This is partly driven by convenience – a large number of smaller stores have popped up in every town in the UK. We therefore don’t tend to do a “weekly shop” (if we do it tends to come by Tesco.com) and pick some items up locally and more often. Diet Chef was born pretty much out of this phenomenon – it just happened in diet earlier. We used to buy specialist diet products in store, but multiple retailers couldn’t stock over 100 items in 300-400 stores they could stock 5-10 perhaps. Consumers have therefore used online to fill this gap, and in speciality grocery it’s a great place to do it. There are lots of great successes over the last 10 years in FMCG direct to consumer but they all tend to be in own brand speciality grocery – definitely where we are focusing. We have had a pretty busy year at Move Fresh, our latest brand to launch is Bean to Door (www.beantodoor.co.uk), a subscription fresh coffee company. Fine Coffee Club has gone from strength to strength over the last few years but customers have kept asking us about ground and bean coffee. Bean to Door is a separate brand (due to the subscription requirements) and offers freshly roasted coffee directly to your door from £3.95. In FMCG we believe that price elasticity of demand is clear within all sectors – so we are positioning ourselves closer to supermarket coffee prices with the freshness that only e-commerce can give you.